Before I start the Post, I would like to tell “please forget all the reports you read about iPhone 7 leaks, saying the phone is going to have no out of the Box features.” Recent leaks for iPhone 7 suggests a massive feature, which will be included in the upcoming iPhone 7. As of today we have many leaks about the Apple's upcoming device iPhone 7 & iPhone 7 Plus, leaving lots of questions unanswered. Some of them are , that are they going to introduce the dual camera setup on the iPhone 7 Plus? and what about the Smart Connector on the back? Way back in May, when the first look of iPhone 7 had been released. We found that there were not much changes in device compared to the older version of the phone. But leak also suggested some improved and thinner design and new and less offensive antenna lines. But from then till today the scenario has changed a lot. 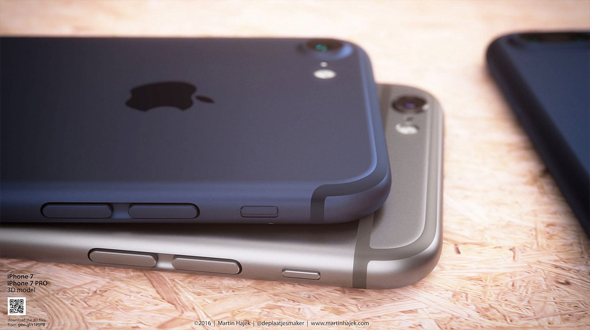 Every second day we have a new leak suggesting a change in upcoming iPhone 7 & iPhone 7 Plus. We all have been hearing about Apple patents which will help the devices to have onscreen fingerprint scanner and more, and if the latest leak from MobiPicker is true the Apple is going to launch the technology with iPhone 7 and iPhone 7 Plus. As we all are aware that there are many leaks for iPhone 7 hitting the internet, authentication is still a question mark, but if the reports are true then this will be a great design change for new iPhone which is expected to be launched in the early September. We will keep you updated with all the latest news of upcoming iPhone 7. You can share your views and opinions in comment section below.